If you want your flower garden to bloom year after year with minimal effort, then low-maintenance perennials are your best option. If you’re new to gardening, growing perennials is an excellent way to get your feet wet and gain experience! Perennials are not only easy to care for and cost-effective, but they’re gorgeous and can easily beautify your entire yard with shape, color, texture, and height. Since they come back year after year, making wise purchasing decisions will help you extend the life of your garden. If you prefer to purchase plants online (who can blame you – it’s so convenient! ), I recommend Nature Hills Nursey – they’re the largest online nursery in the U.S and are very responsive to questions via their online chat. If you’d like to start your plants from seed, then SeedsNow is a great choice – their germination rates are excellent, including their All Perennial Seeds Scatter and Deer Resistant Scatter. What Does Low-Maintenance Perennials Mean? Simply put, perennial means “everlasting”. Plants that are put in this category tend to live between three to five year. This is why they’re so popular and are such a smart investment; you won’t need to spend time planting new seedlings or potted plants every year like you would an annual plant. 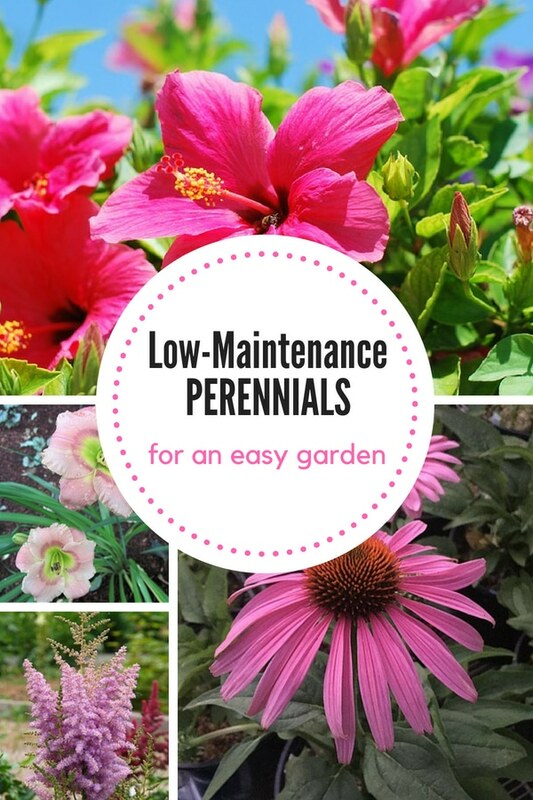 Low-maintenance perennials, for all the beauty they provide, need minimal upkeep; they don’t require as much care as other plants and flowers do. Plus, many of them have far-ranging roots that will spread throughout your flower garden and make you look like a seasoned, hard-working gardener! It almost seems too good to be true. Don’t be mistaken, however. Perennials do need to be looked after. You’ll still need to spend some time fertilizing, watering, pruning, and mulching your plants. You’ll also need to make sure they’re not overtaken by weeds, which can sour your garden and add to your workload. Perennials don’t bloom all year long, so aim to purchase a variety of plants that bloom at different times. This way, you can extend the life of your garden throughout most of the year. Also, don’t be afraid that your chosen perennials won’t look uniform – perennials are actually famous for seamlessly blending together to create beautiful flower beds! If most of your yard gets little shelter from the sun, get some ideas for your garden by visiting this list of 15 full-sun perennials. Without further ‘ado, here’s a list of low-maintenance perennials to consider planting in your garden! Astilbes make stunning additions to any yard with its fern-like flower clusters. The clusters vary from 6 inches to 2 feet, and its height can vary from 6 inches up to 5 feet. 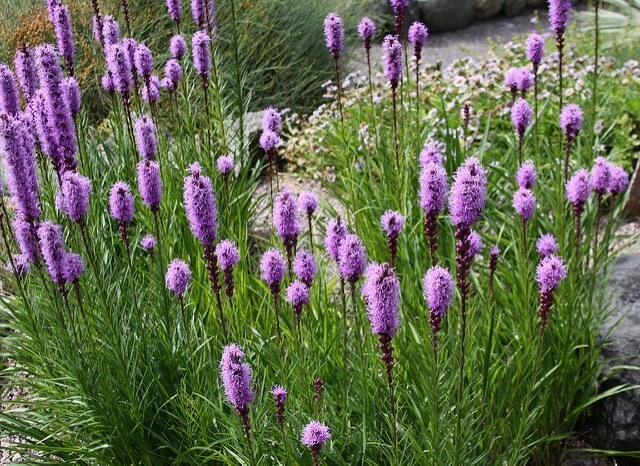 They’re the perfect perennial for shady areas since they tend to burn under direct sunlight. For more information on how to grow astilbes in your garden, check out this post – it has everything you need to know! 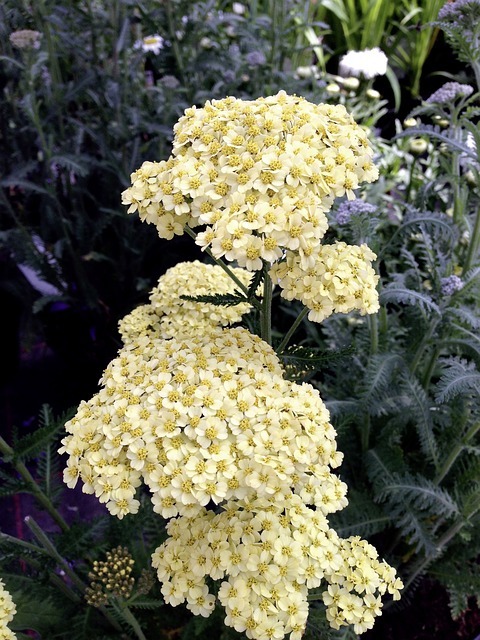 If you love clumps of feathery foliage, then Yarrow is for you. This long-blooming plant features a flat-topped flower that grows effortlessly in most climates and soils. They also attract butterflies and come in various colors! It’s one of the easiest low-maintenance perennials to care for, and its foliage can add much-needed greenery to your garden. Plant it alongside other perennials with similar needs, and you’ll see how well it complements other flowers and shrubs, like the hosta. 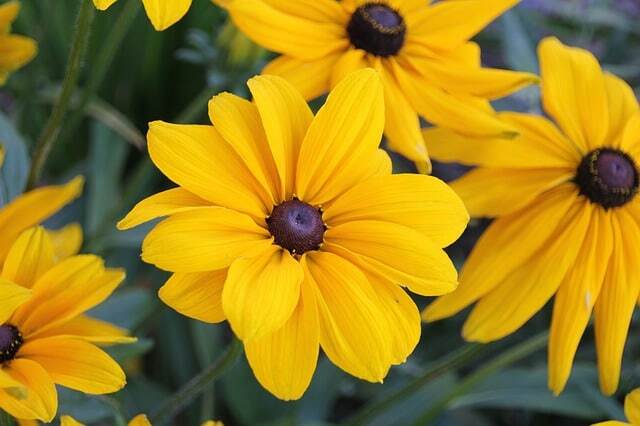 If you want to add a bright pop of color to your garden, then you need to plant some Black-eyed Susans asap! These flowers bloom from mid to late Summer and are pretty resistant to drought. They’re the perfect choice for a gardening newbie. If you have plants to start gardening this year, then this low-maintenance perennial should be at the top of your list. It won’t be fussy or require a huge amount of your time in order to thrive. 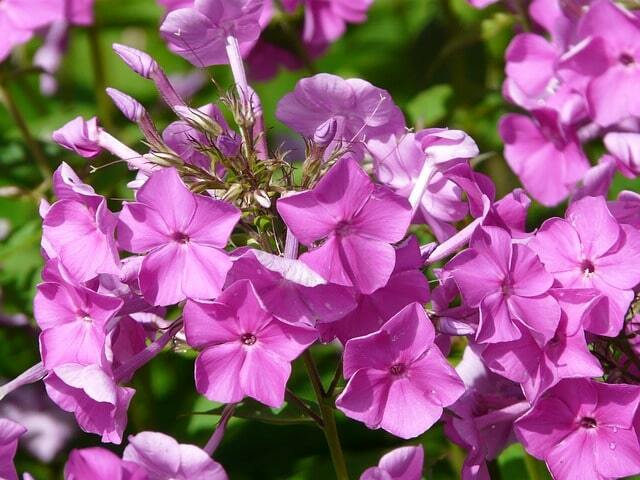 Garden Phlox stands at about 18 inches tall and would suit almost any garden. This low-maintenance perennial has a sweet fragrance that attracts butterflies and hummingbirds, too. The phlox loves sunlight and is also an excellent option for those looking to grow flowers in containers. They’re pretty resistant to mildew and are great for cutting and placing in vases thanks to their sturdy stems. This gorgeous low-maintenance perennial is drought-resistant and can even tolerate less-than-ideal soils. It grows between 3 to 4 feet tall and does best under direct sunlight or part shade. Its roots are wide-spreading, and it blooms in the Spring. 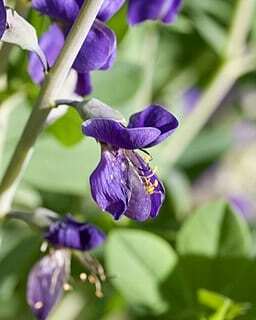 Be mindful of where you plant Blue False Indigo, as it can take over your yard fairly quickly. If you’re looking to add shades or purple and yellow to your flower bed, then this is a perfect choice! Its blooms look soft and delicate, and their light green stems give them height and a showiness quality. They’ll be one of the easiest plants in your garden to grow and care for. 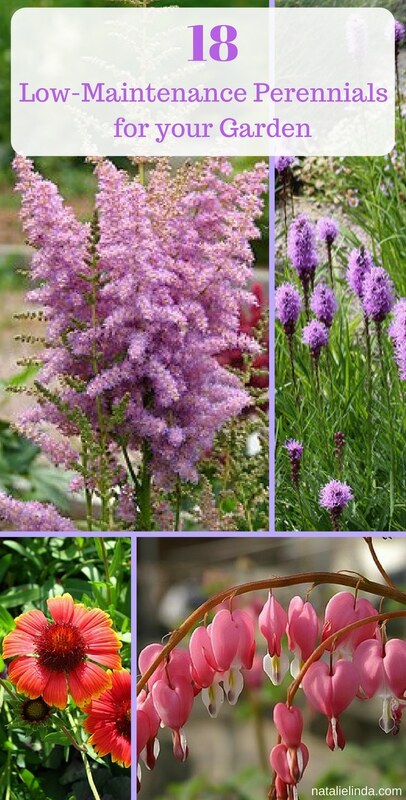 If you’re looking for an upright and colorful plant that does well in hot temperatures and humidity, the Blazing Star is a great option. This perennial grows to about 2 to 4 feet tall and grows beautiful, fluffy flower heads that look unique and exotic. 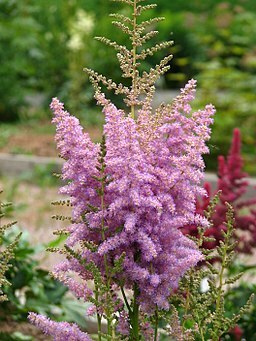 Blazing Star will add a rich shade of purple to your flower garden, and all it asks for is full sun exposure and moist soil! No garden is complete without a delicate pop of yellow! 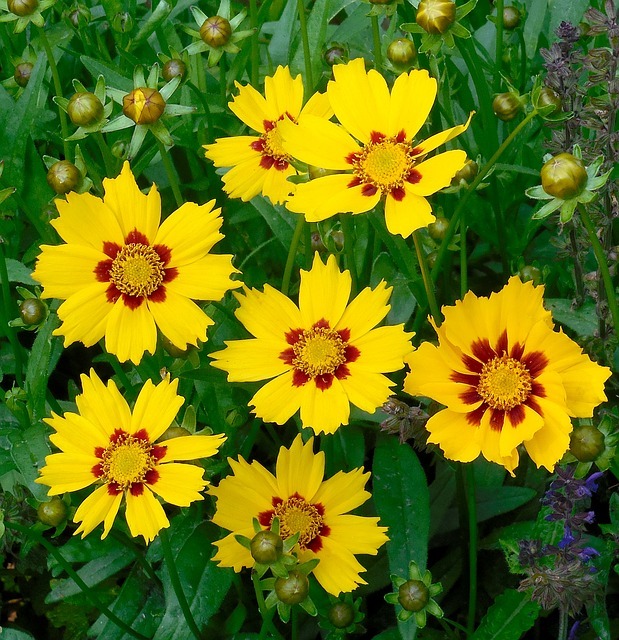 Coreopsis is among the easiest low-maintenance perennials to grow, and it’s also long-blooming and drought tolerant. This plant will bloom from early Summer through Fall. It grows in clumps and makes an excellent filler for a garden as well as a vase of flowers. Make sure you deadhead them during the Summer to keep them blooming optimally! This upright, fragrant flower comes in a variety of colors, including light to bright-pink petals and a yellow throat. They grow in dense clumps and require full sun or partial shade. They bloom all Summer and contrast beautifully against their dark green foliage. 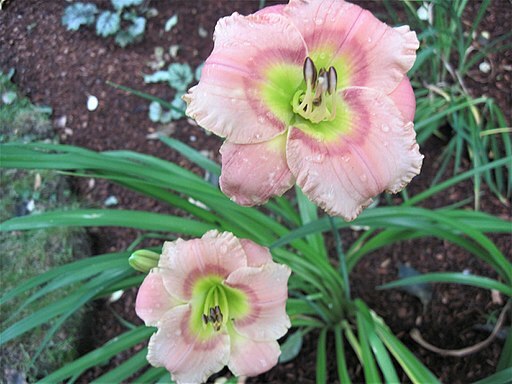 Plant daylilies in your garden if you’re a lover of all things pink! Plus, just look at its flower petals! It’s one of the most interesting, unique, and lovely petal shapes you can find. The color combinations will lend an exotic quality to your garden. This daisy-like flower will bring an exotic mix of color to your garden. They’ll bloom from late Spring to Fall, and can even take a cold Winter. They can be found in color combinations of yellow, orange, and red, with maroon or orange banding at the base of its petals. Gorgeous! 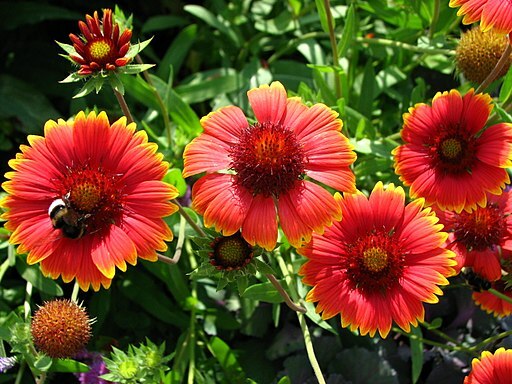 Plant your blanket flowers near your Coreopsis – they’ll complement each other perfectly. Or, if you want to create a dramatic contrast, pair with daylilies, hosta plants, or salvia. Make sure to keep the soil moist and well-drained for optimal results! This fragrant beauty features a deep neck and bell-shaped petals. It holds up well in hot temperatures and humidity and will bloom from May to August. 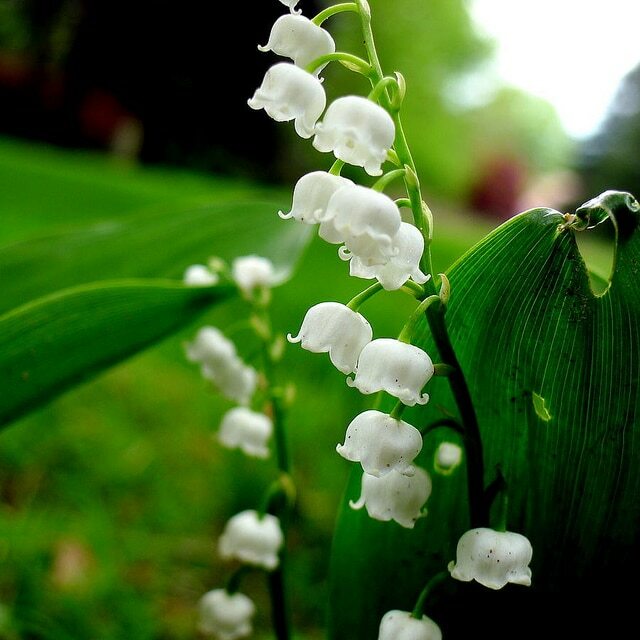 Lily of the Valley attract butterflies and are definitely a showy perennial! In fact, it’s hard to believe that this beautiful flower qualifies to make this low-maintenance perennials list! This tropical and sturdy perennial grows between 3 to 4 feet tall. They like moist soil and lots of sun and are even Winter hardy. You can find them in a variety of colors, so pick your favorite! 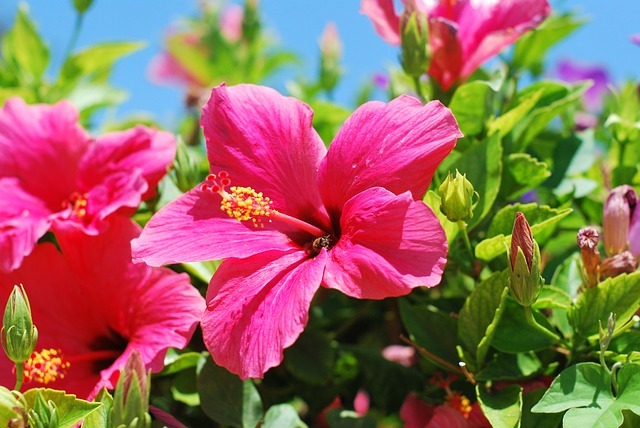 Hibiscus flowers feature five flat petals that overlap and hug its central staminal column. This arching, grass-like plant features beautiful, showy petals. It loves moist, well-drained soil, and does best in full sun to part shade. It blooms in May and are perfect for those who are looking for deep pops of purple with hints of white and yellow throughout their garden. 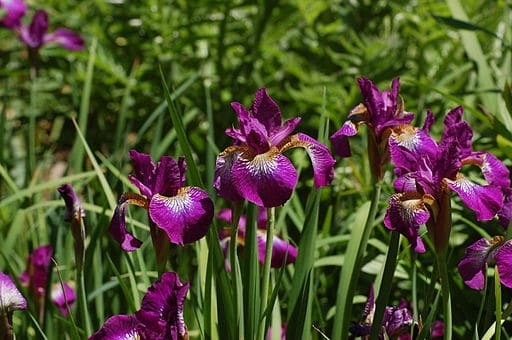 Plant your Iris Siberian with white flowers like the daisy, to help highlight the deep shade of purple! 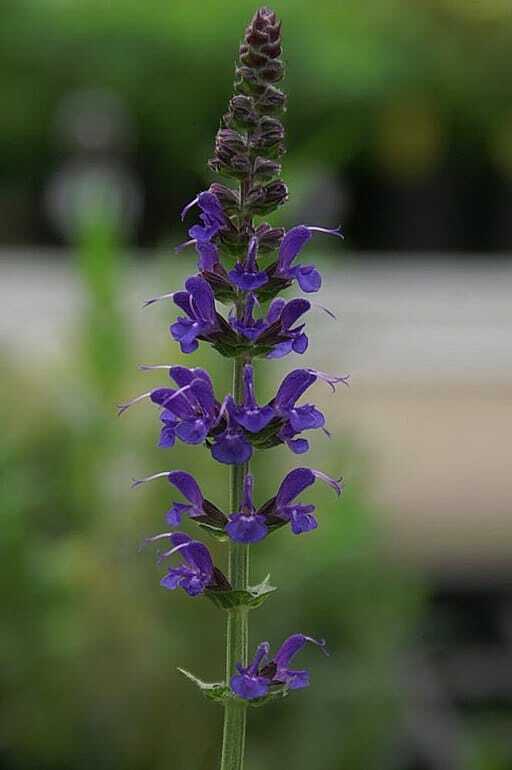 If you’re looking for an upright, clump-forming perennial, you’ve found it in the May Night Salvia. This flower blooms from late Spring to early Summer and features dainty, tube-lipped flower petals, which can be found in shades of blue, purple, and lavender. It grows to about 2 feet tall and can be grown in dry to medium and well-drained soils under direct sunlight. It’s hard to believe that this beauty is low-maintenance, but it is. 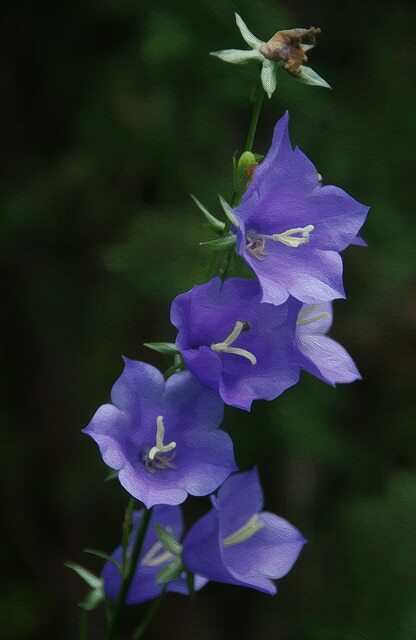 The campanula Bellflower prefers medium moisture and appreciates some shade in the mid-afternoon, as it doesn’t do as well in extreme temperatures. It’ll spread by self-seeding; be sure to deadhead the flowers to encourage blooming. This perennial can also be found in white, which makes it the perfect choice if you’re looking to add streaks of white to your colorful garden. Who doesn’t love peonies? They’re one of the most beloved flowers in the world and countless brides include them in their wedding bouquets every year. Plus, they’re actually a lot easier to grow than you might think! All they need is sunlight, good soil, and space to grow their roots and get adequate nutrients. Learn everything you need to know about growing peonies from this post. Plant peonies at the beginning of Fall or early Spring to enjoy their blooms in the Spring and Summer. If you want to grow a fragrant garden, definitely add peonies to your must-have, low-maintenance perennials list! Also head to my How to Grow a Fragrant Garden post to see a list of 10 best-smelling plants! 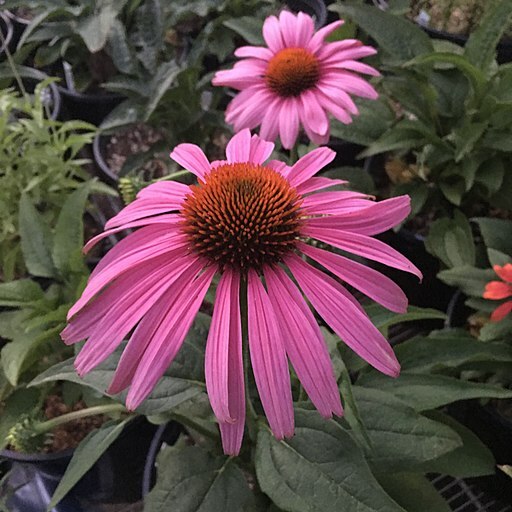 Blooming from June to August, it’s not hard to see why the beautiful Purple Coneflower should be planted in your garden. Both cheery and exotic looking, this prairie splendor is tolerant of hot temperatures, humidity, drought, and even poor soil. This beautiful plant grows in clumps and even self-seeds! Make sure to deadhead to improve appearance. If you’re a gardening beginner, give the Coneflower a try, especially if you need to plant some full-sun perennials. This low-maintenance perennial is like a work of art! It’s such an interesting flower, with its heart-shaped and closed petals that dangle from its arched stems. It’ll bloom in your garden from April to June, and its foliage will remain green throughout the Summer months. Bleeding Heart loves moist and well-drained soil,and prefers shade over direct sunlight. 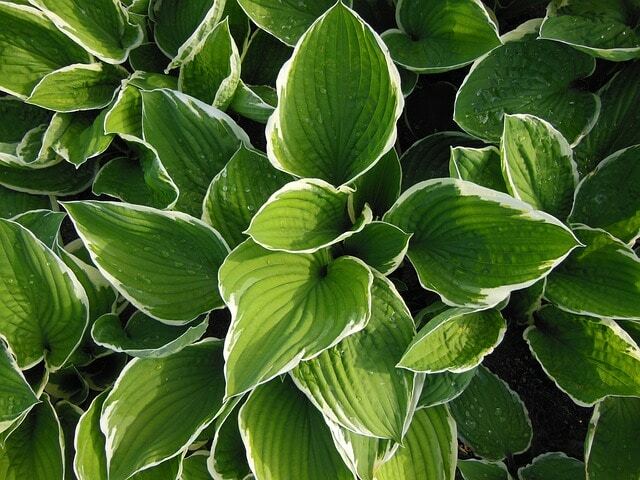 If you crave mounds of heart-shaped foliage for your garden or container, then the hosta, with its lily-like blooms, is a great choice. This drought-tolerant ground cover is a perfect garden filler and is an excellent way to add texture and depth to your flower beds! Combine hosta with other shade perennials, like hydrangeas, for striking contrast! 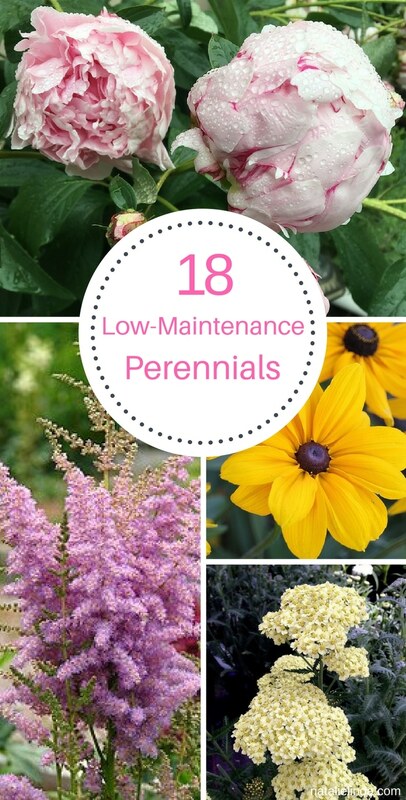 That makes up my list of 18 low-maintenance perennials! Remember, perennials should last you for years IF you take care of them properly. Low maintenance perennials will spread their roots throughout your yard and they’ll adorn your garden season after season if they’re grown in the right environment. Opting to plant more than one type of plant and flower is optimal if you want something blooming in your garden for more than just one season out of the year. The trick is to plant perennials that have different blooming times. Remember that growing perennials from seed will not only save you money and teach you how to care for plants, it’ll also motivate you to keep gardening because you’ll see your hard work come to fruition. If you have an outdoor space that you want to fill with rich pops of color, height, and texture, then you’ll want to pay attention to the list below! 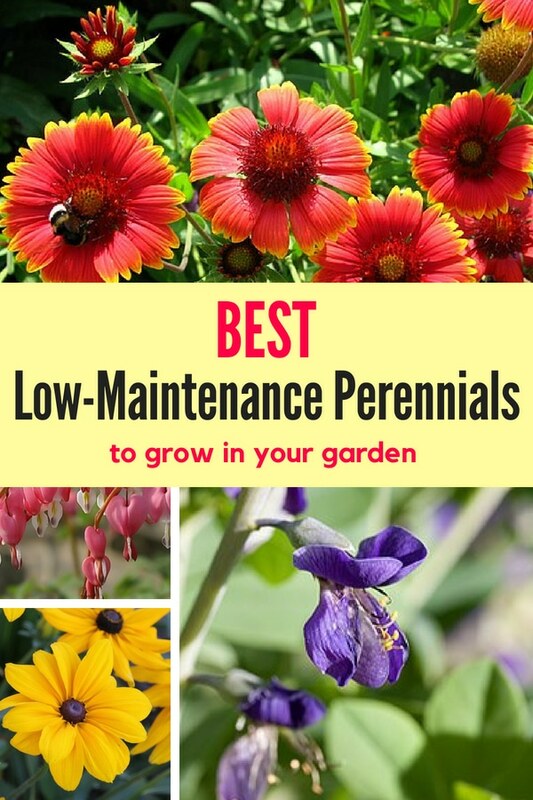 If you’re going to plant these low-maintenance perennials in your garden, make sure to read up on how to care for them so that they grow quickly and to the best of their ability! For a list of full sun perennials, head over to this post and for shade perennials, read my 12 Shade Perennials that will Beautify Your Yard post! That’s amazing, Ramona! Good luck with your garden!! Oh I love the flowers. LlCan we order seeds of these flowers online for Philippines? May I known each price. Loved your Perennials list of flowers. I would love to add one which I have in my garden and I enjoy the most that is Highdrengea. No need to take an extra care. It blooms from summer to fall.. Garden is full of white blooms all the time! I always give this plant to all my friends and family from my garden! Thank you so much, Anita! That’s a great flower to add! !